I recently grabbed ‘The Mask of Command’ by John Keegan off my bookshelf and have been rereading it; excellent book. I highly recommend it. 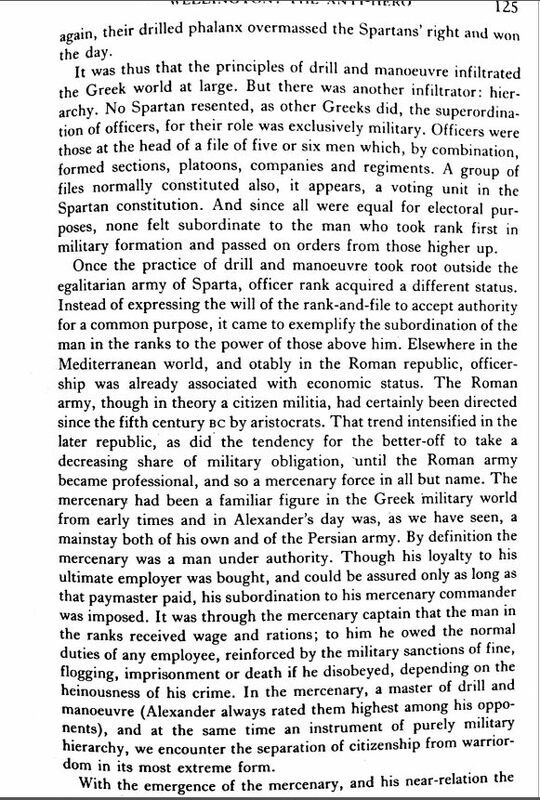 It is a study of generalship and as such, you could think it does not have direct relevance to your organization and leadership of your CUTT (Citizen Unconventional Tactical team).Of course, none of us are preparing to lead the Macedonian army in the decisive battles of Alexander’s Anabasis. But you would be mistaken to dismiss this reference; there is much in there in terms of historical context and lessons to be learned. 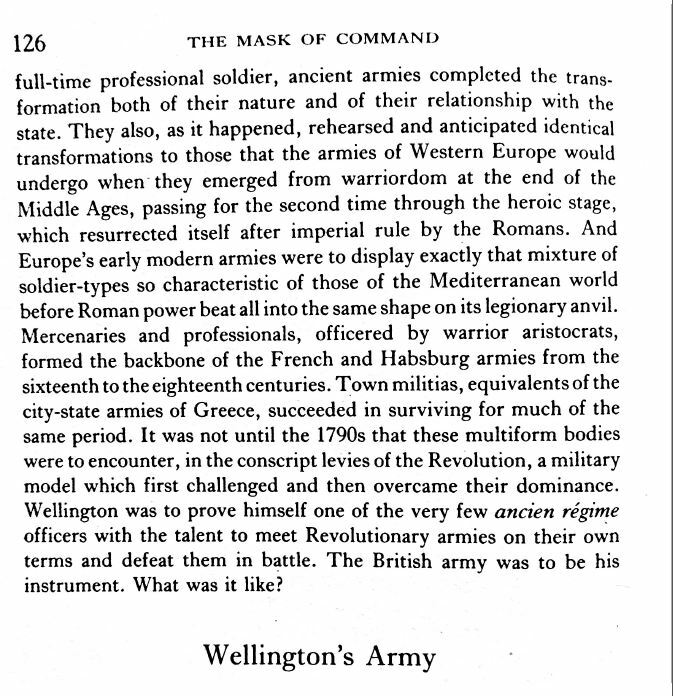 I am part way through the book, I am past Alexander and now reading about Wellington. As Keegan writes, he is not just covering the specifics of the generalship of those individuals that he is studying, but also tying together and interweaving military history and context into the text. Thus, this is likely not going to be my only post about this book. America is a huge nation with a military and law enforcement machine made up of volunteers which skirts a line between professional soldier and mercenary. I do not use this in a disparaging way, having been motivated in my military career more by the challenge than by raw patriotism, and having been both a professional soldier and mercenary in my time. The blurred line in the military industrial complex between these serving and deploying in uniform and those ‘contracting’ after their uniform service is a fine one. And does it really matter? Perhaps only to those who can only see military service as the preserve of the motivated patriot, and not of the professional. 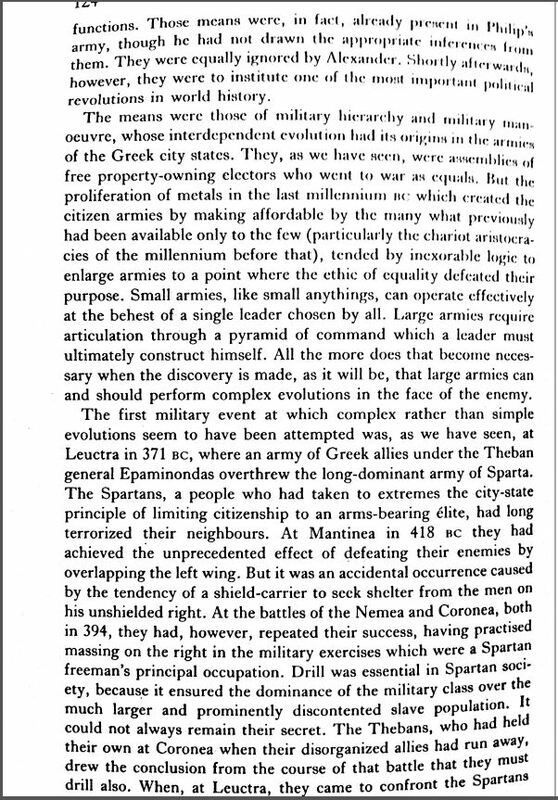 The point being that the tradition of America is one of individual Liberty, and as such we should never fall into the trap of having an armed professional elite over us, the mass of slave / peasants, to put it in the terms that Keegan describes Sparta in the text above. Thus, we should be warriors. Not to challenge the military-industrial complex, but because that is who we are as a people, and of course we need to be ready to defend ourselves without relying on an elite to be there to do that for us. This is the thrust of the ‘TacGun’ branding – we must get away from a mindset that tactical training is only for a professional elite, and that we as private citizens have no right or business to it – this is often prevalent in the tactics training community when it is skewed towards serving only Law Enforcement and Military. You can see the debates that rage online about the purpose of firearms, and only to be used in home defense, and why there is no need for tactical gear or training, and how self defense will only ever involve handguns or 10 yard AR shoots, etc. There is too much normalcy bias based around the current comfort in which we live in our society. No; we train as warriors because it is is our tradition of individual liberty, we want and need to be prepared to take responsibility for our own family’s safety, and we recognize the clear personal and professional benefits to be derived from TacGun training in the here and now, not just in a potential ‘without rule of law’ (WROL) collapse situation. Unlike the professional soldiers who are serving in the war machine, we are preparing for a much smaller and more personal form of warfare – a return to tribal warfare in a WROL situation. Thus, we need to develop our CUTT, train, and prepare. We work on teamwork in the understanding that we train as equals – not equals in ability, but equals as people. Thus, like the city states of Ancient Greece, we will deploy and fight as small teams of equals in defense of our families. However, we understand that we are not all equal in tactical ability or leadership qualities, just as we are not equal in ability in other aspects of our lives, and that this is a flux of ability in different fields. Thus, as equals we train together, allowing us to identify those with the talent to lead, and we suborn our equality of person to inequality of ability in order to allow people to lead us. Thus, it should not be about childish ego, but about performance and harsh realities. To do otherwise, is to die at the hands of the enemy. The ‘rugged individual’ must be rugged enough to understand the importance of teamwork and following the most effective leader. Cooperative communities survive, if they can tactically and logistically organize to defend. Individuals do not, in the scope of history. As citizen warriors, we have the ability to attend professional-level tactical training classes and curriculum such as that offered at MVT. With that, and continuation training with our CUTT, we have the ability to become high skill unconventional light-infantrymen. We may have equipment shortfalls when compared against professional military, but that can be overcome, for example with the adoption of the Maneuver Support Group concept in the absence of belt-fed weapons (The Maneuver Support Group (Designated Marksman Role). We must give attention to holistic planning for the defense of our group in a WROL situation. We must plan our logistics. We must build a team. I have recently seen some ill-advised commentary across the blogosphere pontificating that citizen groups cannot conduct small unit tactics (SUT), simply because they are not state-run military. What Statist claptrap. Firstly, as armed citizens we are not specifically training for combat against our own military! That is a possibility in an extreme case of tyranny, but not really what we are about. We are about training to protect against roving bands of whatever bad guys in a WROL situation. To think that a group of private individuals cannot train, organize and supply themselves in advance for this, and that only a state run military can do so, is the height of Statism. Granted, a state run military has huge resources for logistics, but we are not comparing apples to apples here. For perspective, MVT actually trains active duty Special Operations Forces (SOF) at the VTC in Romney, WV. Not only are they coming to a facility and training organized by a private civilian company, they are also not the kind of guys who would fight to impose tyranny on Americans. So we can dispense with much of the paranoia that infests the ‘liberty sphere.’ If SOF are training at MVT, largely on the same classes that we offer to civilians, there is no reason why, with sufficient attention to your gear, logistic supply base, and physical fitness, you cannot become highly trained as a unconventional light infantryman yourself. If you want to measure yourself against objective standards, come to the TacGun Challenge in spring 2018 (exact date to be scheduled), which will be a reinvention of the previous Rifleman Challenge. We have an SOF team running a modified Rifleman Challenge as part of their training at the VTC in the Fall, and we will use notes from that to inform the planning for the TacGun Challenge. As usual comments and discussion will be on this post on the MVT Forum.